Most people don’t tend to get that migraines are a biopsychosocialspiritual dis-ease that affects ALL aspects of our lives. . . from how we manage our career and schooling, to mates we pick, to whether or not we have the energy for any kind of relationshps, to mood, perception, digestion, etc. Look at the comorbid disorders. . . cardiovascular, metabolic, gastrointestinal, sleep, etc. I am pretty convinced that my migraines started from some pretty drastic dietary changes I made and a sleep disorder that I helped to co-create. 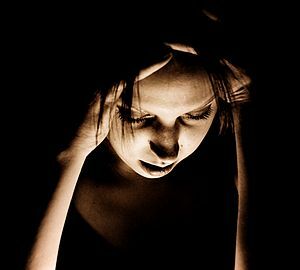 I do believe that I had a predisposition to them as both of my parents have had headache problems over the years and the entire time I was growing up in CT, I had “sinus” headaches all the time. I found a great letter in a book for you to share with people in your life who just don’t get your migraines (and I bet there are similar ones out there for other chronic pain conditions). I’ve thought about sharing it at work but hesitate. (I will post it in a few days). My supervisor has made some slight changes simply because she knows that she needs to make reasonable accommodations despite the fact that I am not disabled. But I get tired of odd looks when I don’t go into a meeting because at least one person is a smoker and 3 are wearing things that make my face flush and my sinuses inflamed within minutes. I get tired of snide remarks when I have to wear sunglasses or earplugs. I get more tired that people continue to talk loud, let doors slam, and wear scents when they know that they have to meet with me. I get annoyed that people think I’m just having a headache and they don’t get that simple things like light, smells, sounds are literally painful to me. That something as simple as a client’s dirty diaper left in a hot bathroom all day long in my hallway is enough to have me in my office with ice on my head for a good part of the day. Or that keeping my window open all winter helps the room stay cool and that helps with the inflammation that I experience. At work, I hear some pseudo-supervisors make comments about people’s “so-called two-day headaches”. I got tired of getting into trouble for making it into work for all my meetings during the week instead of taking off and then crashing by Friday or over the weekend. It’s a pattern when you take off Monday or Friday don’t you know? If someone would just google the incidents of “letdown migraines” they would see that this is not uncommon. So what to do? Well, I can’t change the system and right now I can’t get out of the system. But what I can do is try to live a whole-life approach to health. . .
No, this is not the 8-fold path of the Buddha. 🙂 But maybe our biopsychosocialspiritual dis-eases and our living with them should have an 8-fold path. . . Yes, I think this is something that we will start looking at and I will kindly and compassionately challenge you to look at it and perhaps live it. I know when I incorporate more healthy living in my life, there is more health. I can’t cure it, but I can have much better quality of life. Let’s touch base with each other and see what we come up with.